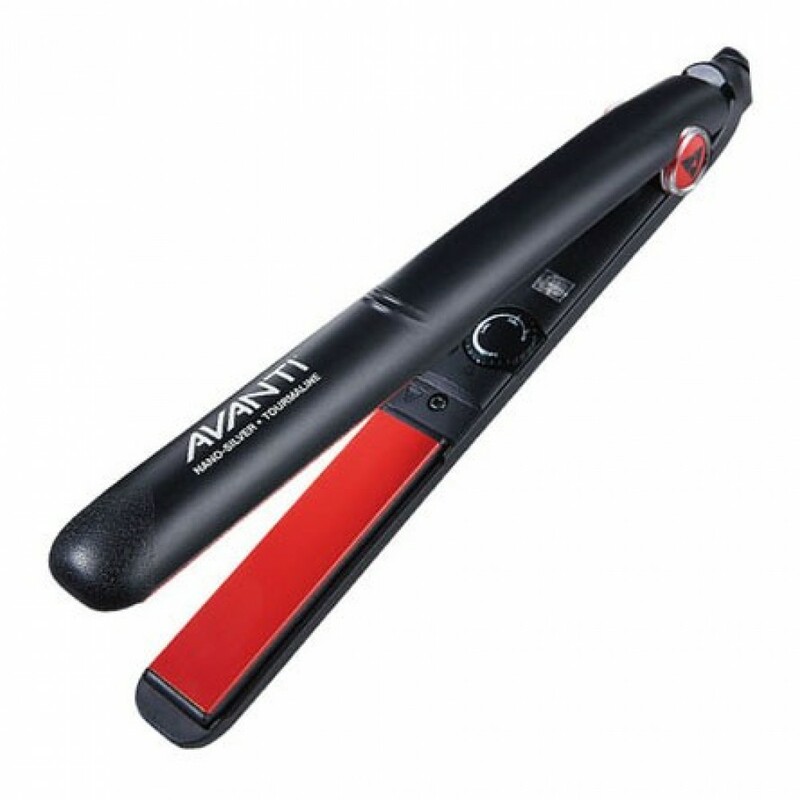 A great valued professional hair straightener. NEW improved features, including the higher temperature to 450F and dual voltage for international use. Tourmaline is a mineral and a natural source of far infrared heat and negative ions, and has similar benefits as ceramic. Silver ions and silver compounds have a toxic effect on some bacteria, viruses, algae and fungi. Its germicidal effects kill many microbial organisms. Silver also has the lowest contact resistance of any metal, reducing friction for gentler styling. What is Negative Ion Technology? Negative ions are atoms that can stop the growth of bacteria, fungi, etc., resulting in healthier hair and scalp. Negative ion energy is powerful enough to break apart clusters of water molecules. The smaller water molecules penetrate into the hair shaft by slipping between the cuticles, adding plumpness/volume to hair. The bombardment of negative ions also closes the hair cuticle, which is very good for the health and appearance of the hair.